Big Woods Goods - Being Interrogated Seminar. When you make a statement to police, the prosecution has already begun. 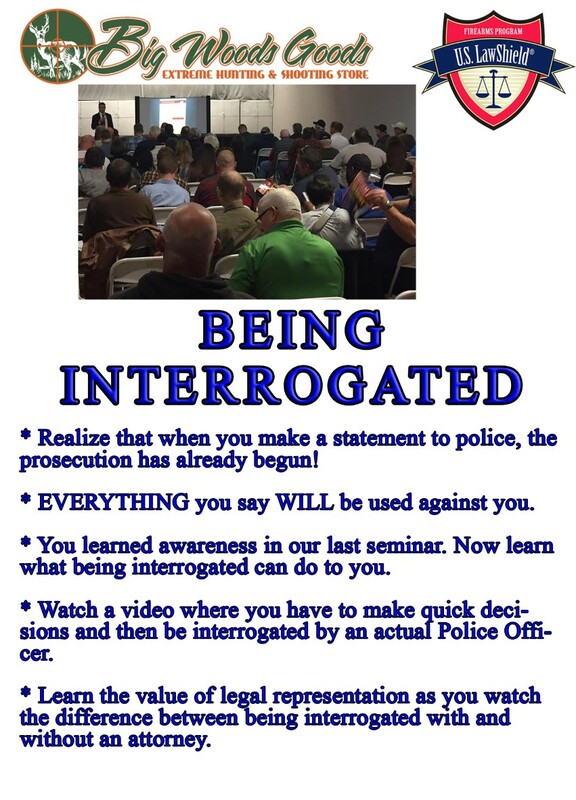 Education is the key to protecting ourselves; arm yourself with knowledge by attending our seminar!